Tell us about you and your homeschool family. 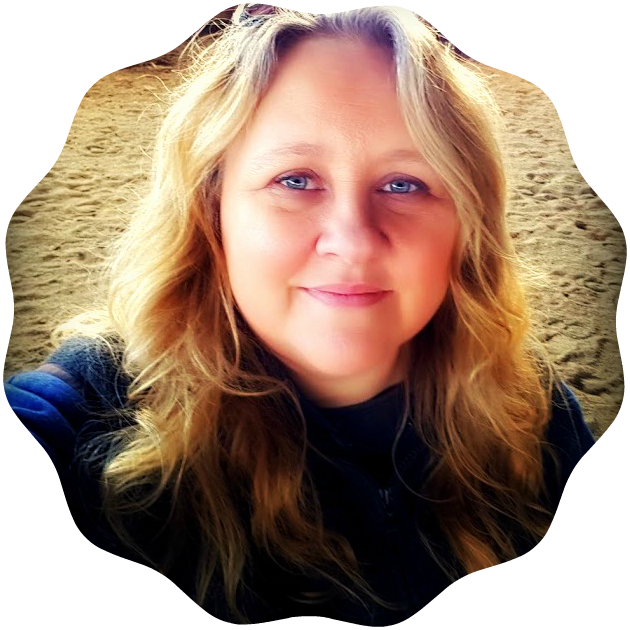 Hello friends, My name is Carri and I blog over at Grace For My Journey, (Life inside a grace-filled home – Faith, Family & Homeschooling). I have been married for 20 years to my amazing husband Mark and have a beautiful 11-year-old daughter (nicknamed Muppin) that I am privileged to homeschool! We live in the Pacific Northwest, Washington state to be exact. We love it here in the beautiful green trees! Within an hour we can be in the city (Seattle), at the Pacific Ocean or on Mount St. Helens or Mount Rainier. We get the best of all worlds. Does it rain here? YES, but not as much as you think. We get less rainfall than Chicago! Ours just tends to be long days of drizzle instead of intense downpours, though we have those too. We are actually in a drought (for us) and have been for a couple years. Last year was the worst year on record for dry hot days and fires. It was terrible! This year has already had more hot days than normal and it has been much dryer already. We love animals and have two cats, a dog and a horse! My daughter has a huge desire to train horses and run a barn for horses and people who have disabilities and challenges in their lives so they can come and ride and be blessed. Yep, I have an awesome girl with an awesome heart! We started to homeschool in the first grade. I was a reluctant homeschooler but did it for the well-being of my daughter because of bullying and physical abuse happening to her at school. We have been homeschooling now for 5 years and it was the best decision I have ever made! She is doing amazing now, and our relationship is stronger than it ever could have been! We have an eclectic style that has morphed from utilizing all one curriculum the first year we homeschooled, that was horrible for us. I have learned that my daughter is a very kinesthetic learner and gets bored easily with the same thing. She doesn’t do much on the computer either because sitting in front of a computer all the time would drive her crazy. So, I have a different curriculum for every single subject, and she loves it. I spend a lot of hours reading about different curriculum then watching videos. We also go to conventions where she can look at things and touch them. I leave room for unit studies as well. What I have found is that I buy the curriculum she likes and will work with and as time goes on and things get stressful we do one of two things. We either switch to a unit study that fulfills something she wants to learn about or we quit all together and unschool. So we are not traditional unschoolers in the fact that we have no curriculum ever, but we cycle in and out of it, if that makes sense. When her stress gets high, or mine does we give each other grace and stop for a while. Some of these “down” times have been so rewarding emotionally, mentally and spiritually… and we have learned some amazing things we didn’t intend on learning about. One of the things we learned about during an unschooling session was the history of toilet paper. Yep. Who knew there was such a thing but there is! And it is interesting and disgusting all at the same time. lol But we learned a lot about different cultures just by what they did when they pooped! Thank goodness that subject is over. Now we are happy with what we do for homeschool and enjoy great success. We do a loose year-round homeschooling. We take July, August, and December off. However, during those three months, we still work on math facts, tons of reading, and writing. We use those times to study about holidays, seasons and about things she loves. To her it doesn’t feel like school because she loves to read and to write. That has been my main focus really, building her love for reading and for writing. Here is our homeschool routine. My daughter gets up at 7am because she isn’t a fast mover and likes to take her time. But she gets to sleep in on Saturday & Monday (which means she is up by 8, she has never been one to “sleep in”). If she is going through a growth spurt and is grumpy, I let her sleep more so that her body can do what it needs. At 8am she takes care of her body, gets dressed then does her chores (taking care of animals, making bed, picking up room, picking up her bathroom, empty dishwasher, vacuum or sweep, and help with laundry). She can get these done by 9am because we do them everyday so there isn’t much to do, (plus we do a 5 minute clean up before we go to bed). 9am she starts school and is finished by 1pm. I write down how many lessons are required in each subject for the week on her To Do chart. She can do whatever she wants, when she wants to. She can do all her math in one day if she wants or spread them out. They just all have to be done by Friday at 1pm or she spends all morning Saturday doing school. That is a horrifying thought to her so she has never missed getting it all done, lol. I do give her the option of finishing her stuff early and not going until one, as long as she remembers her deadline. This is teaching her time management. Something I wish I would have been taught as a kid. I hope it is a blessing to her! OUTSIDE! lol Except for her math (which is on the computer) it all happens outside if she can manage it. She is either in her tree house, on the back porch (if it is raining) or out in the grass. I have seen her reading while swinging or sitting on the balance beam. Doesn’t matter to me where, as long as she is working and getting it done. It is amazing how much she gets done and remembers while she is outside with all the wild birds and bugs and the dog. If I stick her at a desk it takes her forever and she argues and hates life. So, schooling is outside if we can make it happen. Whatever unit studies hit our fancy at the time and dozens and dozens of books! Remember, not everything is taught all the time. Some of it is just for a season. Not everything needs to be fully completed either. Most teachers never complete their curriculum. In all things… Grace! I honestly don’t remember any because I read them so long ago! I now just scour the internet and read about other people’s journeys and what works for them to get ideas about what will work for us. Bible, cell phone for internet access, notebooks and different writing utensils and that is it! We would write about our experiences, learn about whatever we were doing at the time with the resources available. When there were no resources available we would go to the local library or use the internet on my phone if they didn’t have what we need! We would just learn as we go and call it good! Why miss the opportunity for hands-on learning just to do book learning. There will be time for that! I would do just the basics while I spent time learning about my child’s and my learning styles. Then I would just start adding things that I thought would be great for them, and see how it goes, changing as I went along. I would find out what they wanted to learn about most, and go for it! If they want to learn about it, nothing will stop them! I would relax, not worry and I would not try to do it like someone else. I would just be me, and let my kids be them. I would ignore all the talk about being socialized too! Silly people! I would savor every single minute! I pray that you have found this interesting and fun. You are amazing and so are your kids, never let anyone tell you any different! Blessings to you and I hope to see you over at Grace For My Journey! P.S. Don’t forget to sign up to win some amazing prizes below!!! 30 Ways We Homeschool Giveaways! I am a daughter of the King and I am beyond blessed! I am also a wife to an amazing man and a homeschool mom of a beautiful little girl and I work from home! Oh and yes, she is an only! I live in the beautiful Pacific Northwest, just south of Olympia, WA and the Olympic National Park (Hoh Rain Forest), west of Mount Rainer and Mount St. Helens and finally, east of the beautiful Pacific Ocean! Outdoors is where we thrive and we live in one of the most beautiful places I have ever been, offering plenty of opportunities to get out into beauty. The evidence of Grace is all over our lives! What is most important to me? Finding that Grace in my Faith, Family & Homeschooling! I love this! Carri, I love your ability to see the big picture. You took your daughter’s love for the outside and made it an integral part of her learning experience. Not only does it sound like she is thriving but also like she will have some great memories about her schooling experience. Great post! Thanks so much Angel! I truly appreciate the encouragement. I just can’t see keeping her cooped up inside if all it does is create anxiety, frustration and a dislike of learning. Sure, it would look more like school, but that isn’t the point, the point is to love learning. Thanks for the encouragement! Carri Schutter recently posted…Are you willing to be courageous and homeschool?